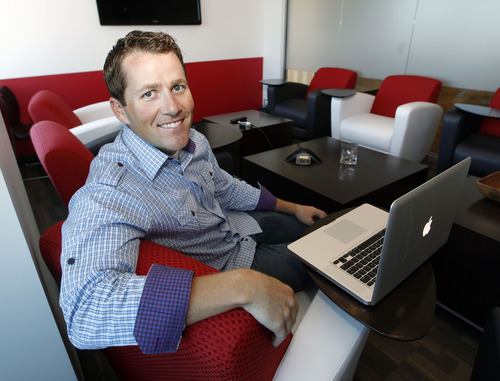 Feedback • The Utah company says it is poised to offer analysis of consumer satisfaction data. Al Hartmann | The Salt Lake Tribune Adam Edmund is CEO of Allegiance, which is a surging company that provides gathering and analysis of data on customer and employee feedback. The company is now approaching $20 million in annual revenue. Al Hartmann | The Salt Lake Tribune Adam Edmund is CEO of Allegiance, which is a surging company that provides gathering and analysis of data on customer and employee feedback. The company is now approaching $20 million in annual revenue. Allegiance CEO Adam Edmunds has a story he says testifies to the power of analyzing consumer data to improve customer satisfaction. Allegiance supplies feedback and analysis to JetBlue, the discount airline. The airline's operations in San Francisco were consistently rated as the worst in the country by fliers but the carrier couldn't figure out why until Allegiance helped it dig into results of customer surveys. They found that an airport sign directing passengers to JetBlue's departure gates was confusing. "People couldn't get to the JetBlue terminal so they were missing their flights," Edmunds said. The sign was revised and the airline's San Francisco passenger satisfaction numbers shot up. After seven years in business and flush with venture capital funds, Edmunds believes Allegiance of South Jordan is set to take off amid growing demand for tools to track employee feedback and gather and analyze customer satisfaction data  known as voice of the customer, or VOC, services. Data gathered from customers has become a common commodity, said Edmunds, and as such "anybody can gather data and stuff it into a database." "The scarce resource now is the ability to analyze it in real-time," he said. "Software companies going forward will differentiate themselves with the ability to do that with many different data sources." It's an expanding niche Edmunds said Allegiance is well-positioned to fill. And it's a good place to be right now, said Bruce Temkin, managing partner of The Temkin Group, a customer-experience research and consulting firm. The sector is growing and changing dynamically, Temkin said, as companies realize the strategic value of accurate customer feedback and analysis and have begun to build the need for it into their corporate budgets, he said. These days, instead of hiring outside companies to solicit customer data through surveys, the information flows to them through email, phone calls and across social media, said Temkin, who is also author of a popular consumer-experience industry blog. "There's just a whole growth of places where customers are giving feedback and companies are now saying, `Not only do we have to be able to collect all of that feedback, we have to analyze it,' '' Temkin said. " `Then we have to put it into the hands of the people across our organization that can do something with it.' "
Allegiance and Medallia Inc. of Palo Alto, Calif., are among the most aggressive and fastest growing companies in the sector, he said. Another Utah company, MindShare Technologies Inc., also has been "incredibly successful" in its area of focus among retailers and the hospitality industry, Temkin said. After searching for a successful model, Edmunds said Allegiance has positioned itself between companies that gather customer data and those, like Medallia, that offer complete systems for customer feedback but which require help to create customized features. "We felt there was a big missing hole right in the middle of providing all those enterprise capabilities but adding a self-service flavor to it," he said. With Allegiance, a customer company can design and implement its own survey methods, analysis and distribution of information, Edmunds said. 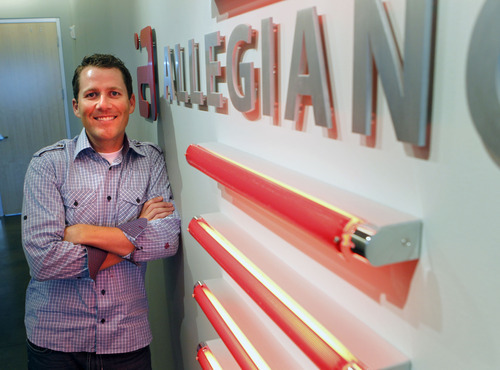 Allegiance launched a set of redesigned products  "rebuilt from the ground up," said Edmunds  about a year ago. "We've more than doubled the size of the company since we launched that product," he said, with revenue this year expected to approach $20 million. To help the company grow, "to really attack our market," Edmunds said, Allegiance has brought in three venture capital firms, all based in California: Allegis Capital, El Dorado Ventures and Rembrandt Venture partners. Spencer Tall, managing director of Allegis, said his company has invested around $8 million over more than five years of involvement with Allegiance and is now the single largest shareholder. Tall said like many startups Allegiance has gone through rough periods as it tried to find its place in the market and get the right people on board. Now, he said, "I'm pretty confident we've got the right product and the right direction and, now, the right team." Edmunds, Temkin and Tall said they expect more consolidation in the VOC and employee feedback industries, with bigger software companies buying their way into the industry. Edmunds predicts interest will come, in particular, from customer-relationship managers, big market researchers and business intelligence vendors. Adam Edmunds formed SilentWhistle in 2005 after graduating with a master's in accounting from Brigham Young University. He merged it with Allegiance Technologies, a company founded in 2000 by BYU marketing professor Gary Rhoads to track and manage customer and employee feedback. The company now has about 85 employees. Expected revenues are about $20 million this year.